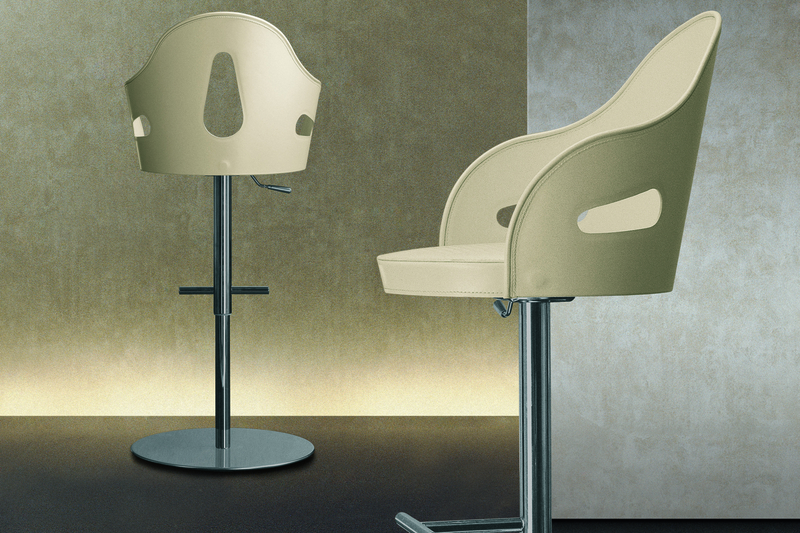 The Dora bar stool is designed with adjustable height thanks to spring mechanism, with base structure in satin-finished steel. The structure of the seat is in multi-layer and the padding is in multi-density expanded polyurethane. 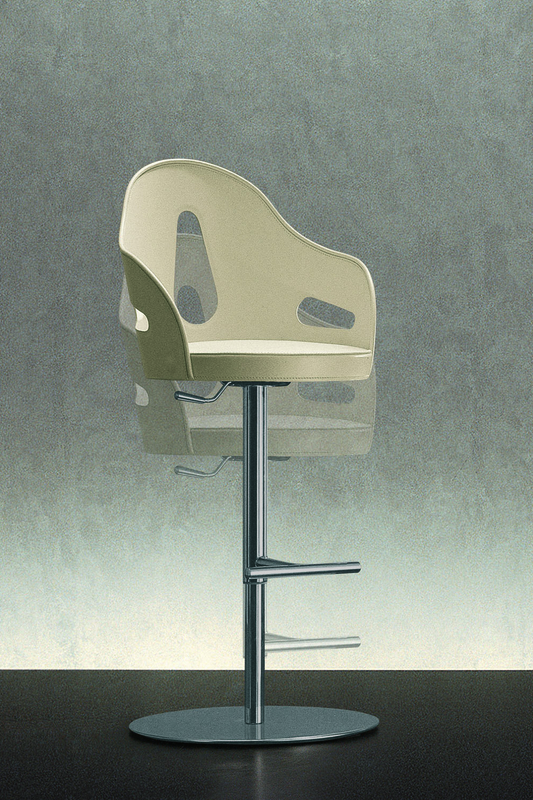 The structure of the backrest is in calendered aluminium (curved). The covering is in saddle leather, which is available in different colours while the backrest can be matched to different shades of piping.